There’s no shortage of electronic temperature controllers/indicators on the market these days. I have reviewed some on this site, and have used many more that I haven’t yet reviewed. 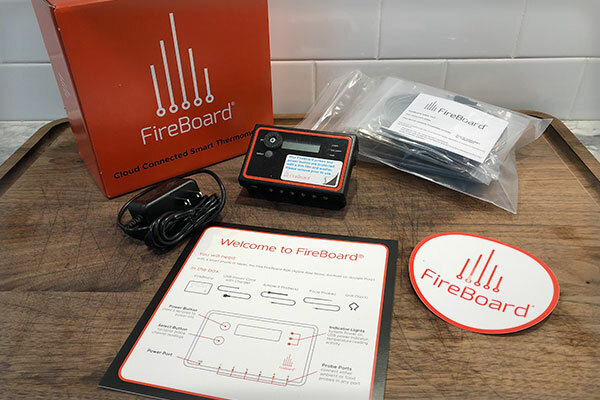 Today, after several months of testing, I am reviewing what I believe is, hands down, the best product in the temperature monitoring space on the market, the FireBoard. I haven’t been this excited about a product at this price point since starting my site. *Specs taken from FireBoard website. There are a number of things to love about this unit. I’ll start with out of the box readiness. I’m always a bit skeptical when a product requires the download of an app in order to monitor—it’s just never as easy as it should be. This is not the case with the FireBoard. Pairing your phone with this unit is very intuitive. This is just one of those items that simply works, the first time, without hassle. So, if you’re a bit tech challenged like me, don’t fear this unit. Next, let’s talk capability. This thing has six—yes, six channels. Overkill you say? I wouldn’t ever need that many indications you say? Consider the ability to monitor not only the foods you’re cooking, but temperatures inside the cooker at various places. Understanding how your cooker is performing during a cook is imperative and we all know the temperature dial in the lid of your cooker is right next door to worthless. So, being able to place probes at various places inside the cooking chamber is extremely helpful. No more whole chickens that are more done on one side than the other. In addition to the ability to monitor several things at once, I also use this unit now as my go-to tool to determine hot spots on my grills (all grills have them and you should know where they are on yours). Finally, naming each probe on the app is a snap so there’s no confusion as to which probe is positioned where, or in what food. 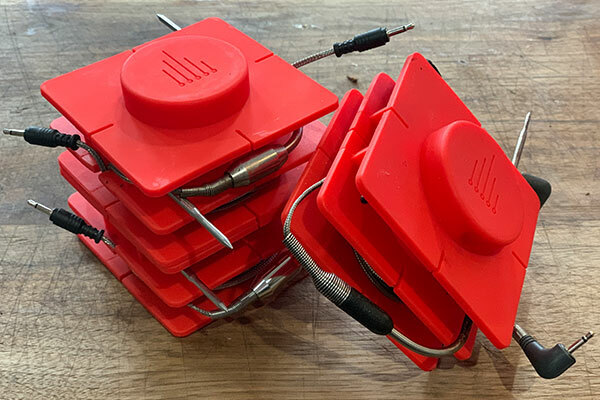 Along with the ability to monitor temperature, the FireBoard also offers an adapter (sold separately) that will power a fan in order to control the temperatures inside of almost any charcoal grill. This makes the FireBoard not only a temperature monitor, but a temperature controller. 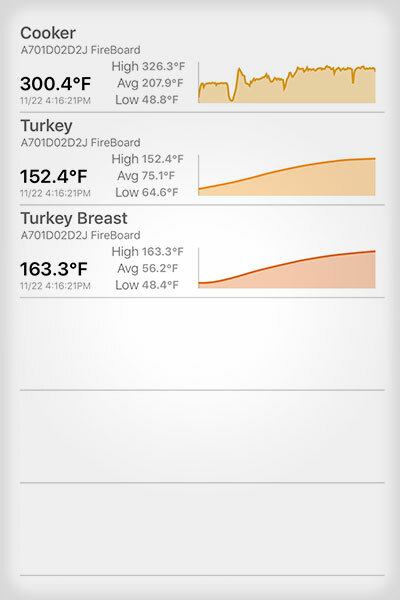 Via the app, a user can easily change cooking temperature inside their grill from anywhere they have a Wi-Fi connection. In addition to monitoring grill and food temperatures, there is also an optional freezer probe that allows you to monitor cold environments. This feature is especially handy in the summer when you need to know the temperature inside your cooler to ensure food safety. Though the product itself is not technically water proof, FireBoard offers a case that provides protection from the elements. And let’s face it, how many times have you fired up the grill on a sunny day with a clear forecast, only to see it start pouring rain an hour later? In addition to the protection from the elements, the case also provides various mounting options for the unit while maintaining full functionality in all conditions. The base incorporates a kickstand for improved display viewing angles as well as magnetic base for placement on metal surfaces. To top it off, the case also includes a nylon strap to offer additional versatility. Like all temperature probes I test, I subjected these to ice water bath and boiling water tests. Across eight different probes using all six ports on the controller I found the temperature reading to be off by a very impressive .3° F in the ice water bath and .4°F during the boiling water test. If you’ve ever conducted these types of tests before, you’ll appreciate that this is extraordinarily accurate. This tool checks in a very reasonable $189 for the base model which includes the thermometer, charger, ambient probe, 2 food probes, and grill clip. You can step up to the deluxe package which includes some extra probes, etc. or you can buy all of the extras à la carte. Interestingly, there is no price break to buy them all at once which I found kind of odd. Considering that FireBoard’s most well know competitor in the space, Thermoworks, makes a similar product that has only four channels, doesn’t have fan control capability, and sells for $229, the price point for FireBoard is a very reasonable. The thermometer comes with a one year warranty. Fireboard claims battery life of “more than” 24 hours. This claim stands up to the test; I have routinely gotten 28 hours of life on a single charge. That’s plenty for me, and probably 99% of other cooks. What I find even more impressive is the recharge time. Going from a completely dead battery to a full charge takes less that 2 hours. If you’re no stranger to temperature cords, you’re also no stranger to the birds nest of wires that are seemingly always knotted together. FireBoard offers optional cord wraps which have saved me numerous headaches and colorful language when I am grabbing a probe. No more tangles. From a performance standpoint, I don’t know that I could improve on anything for this thermometer. In short, it simply works. That said, if I were to pick one thing it would be that without the optional box, the unit tends to slide around on any surface you set it on, when attached to more than one or two wires. It just isn’t heavy enough to “take a stand” if you will. Of course, there is the optional weather resistant box that fixes that issue, but that box is awfully expensive for what it is: a plastic box. At $55 it’s hard for me to recommend that accessory, especially when its main objective (protection from the elements) can be achieved with a Ziploc bag. 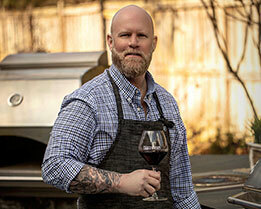 This product is great for cooks of all skill levels and is a must for both indoor and outdoor cooking. Gone are the days of me having a half dozen different monitors in my cupboard, with wires tangled and hanging everywhere. I can sum up my thoughts on this product by repeating how I started the review, this is the best tool for temperature monitoring on the market.